Oval cut diamond with trillion cut diamond side stones. Our excellent aftersales care ensures that all servicing will be carried out by our quality craftsmen. We are happy to source diamonds assessed by the leading grading laboratories. Start your diamond education HERE. View more stunning styles by clicking HERE to browse through our YouTube channel. Interested in other diamond shapes? Click HERE to learn about the most popular cuts available. There are several beautiful wedding bands that match well with this style. Do you have something special in mind? Discuss your options with one of our consultants. We are happy to make a bespoke style just for you. Contact our office on 01-4794220 or info@voltairediamonds.ie to book your consultation in our relaxed environment. A stunning oval, brilliant cut diamond set between trilliant cut diamonds, this ring is striking and unusual. This setting is elevated so that it is compatible with a wedding band. This style can easily be set with coloured gemstones as required and can be fashioned in the metal of your choice. 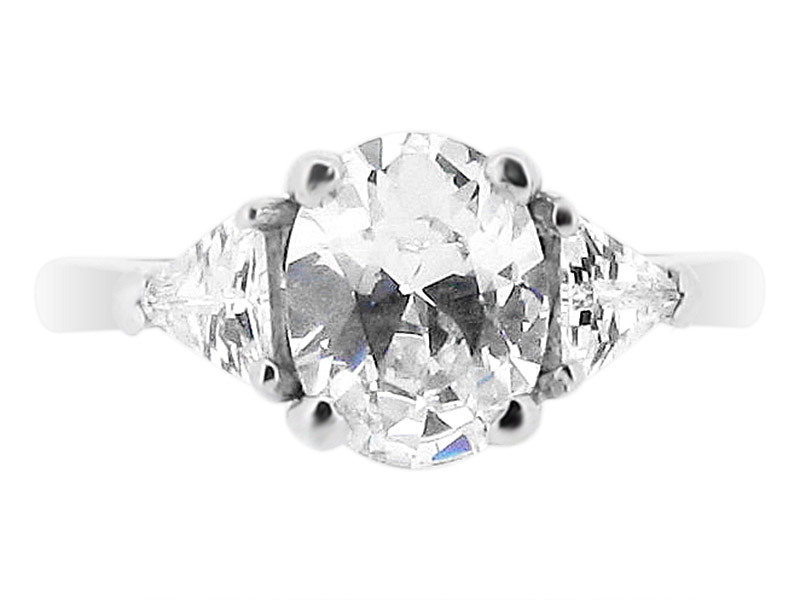 At Voltaire diamonds, we work with you to create the ring you are looking for. We can source stones for you and produce computer aided renderings upon request. We work from relaxed and comfortable offices just off Grafton Street and see clients by appointment only. If you are currently in the process of looking at engagement rings, please contact us and we will do our best to secure a suitable appointment time for you.